Porthgain and its harbour lie just a few miles north of St David’s, within the Pembrokeshire Coastal National Park’s Conservation Area. 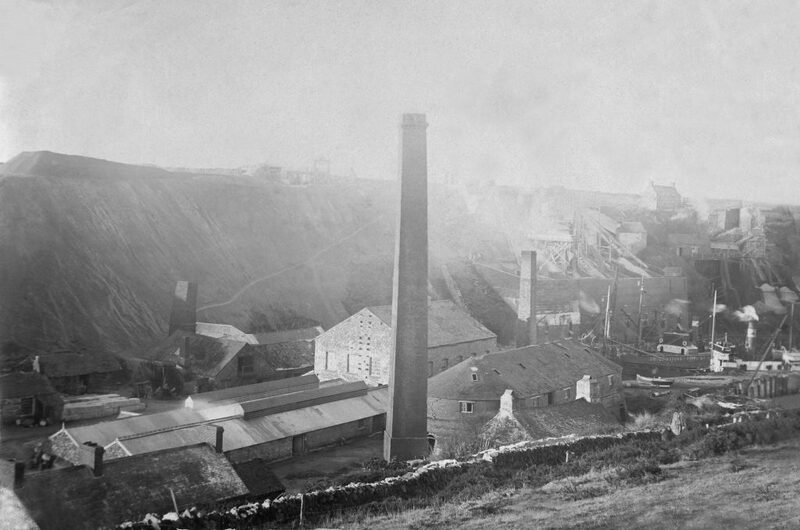 Throughout the 19th Century, Porthgain had rather a chequered industrial history, being known first for its slate, then for brick making and finally for quarrying gravel. It is now better known for two art galleries, an old smuggler’s pub and the remains of the granite hoppers. 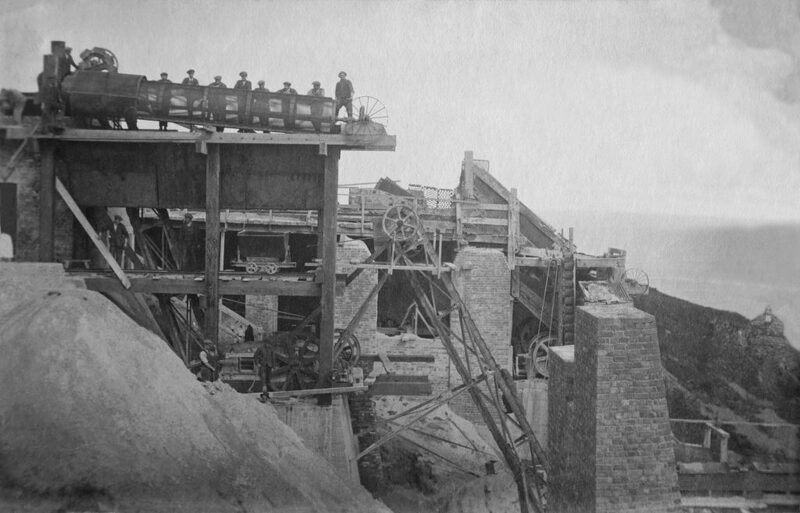 Later, a narrow gauge railway was built to transport rock from the Pen Clegyr and St Bride’s quarries to Porthgain. Finally, in 1931, the road stone business closed. To find the slate quarry, follow the coastal path up the cliff on the left side of the harbour, when you emerge on the top follow a path to your left near the ruined brick built building. A short distance onwards and on your right you will see the gaping pit that was once a quarry. If you backtrack to the coast path and continue along to your left you will also find the cliff edge quarry that served the road stone business. Porthgain village was created solely to serve its various industries and at the harbour you can still see the original quarry worker’s cottages (Y Strydd ~ The Street) as well as the remains of its industrial past. 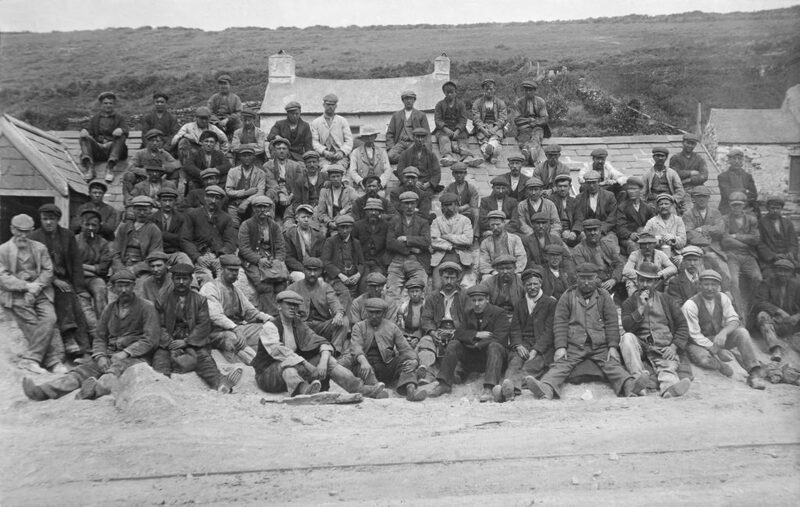 The Institute, the Shop (Jack’s House) and Hwt Fach were among prefabricated houses brought in by sea at the beginning of the last century. 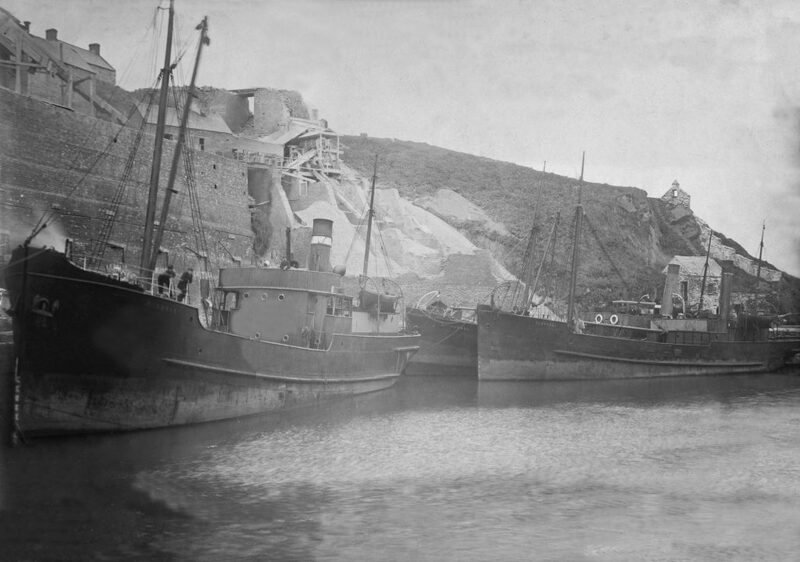 On the left of the harbour the large brick buildings built into the cliff face are the hoppers used to store crushed granite (of different sizes) before shipment. These hoppers are now a scheduled monument, as Porthgain was designated a conservation area in 1987. Their only use now is as store for the local fishermen who still successfully fish for crab & lobster. There is relatively easy (though quite steep) access to the Pembrokeshire Coastal Path from both sides of the harbour, one of the most popular walks from Porthgain being along the coastal path to Traeth Llwyn (a great beach with interesting rock formations, owned by the National Trust) and the Blue Lagoon at Abereiddy. The blue lagoon is actually a product of the unsuccessful slate quarrying venture at the beginning of the 19th Century. The slate turned out to be inferior to the North Wales product and the venture collapsed. The rock between the quarry walls were blown up and the sea rushed in to create the Blue lagoon.